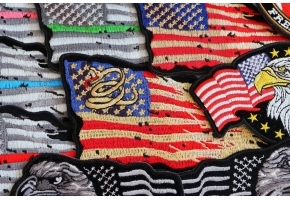 Want some Flag Patches that look a little different? 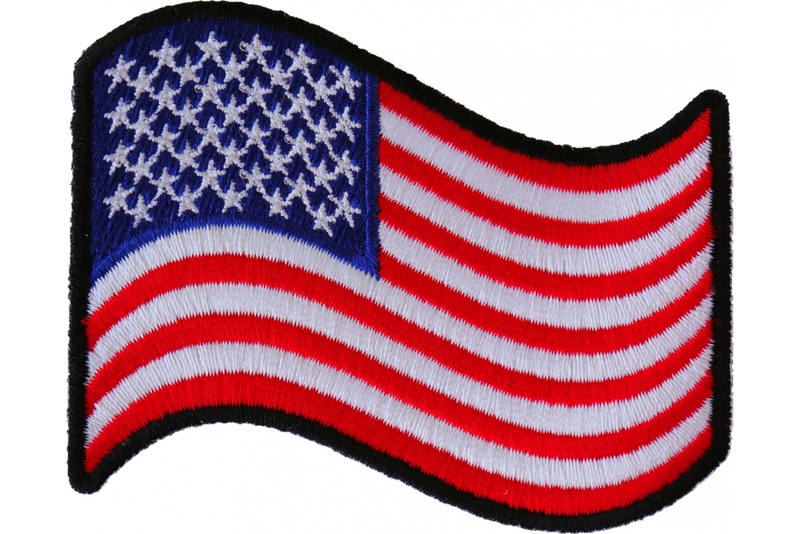 How about a Waving US Flag Patch? 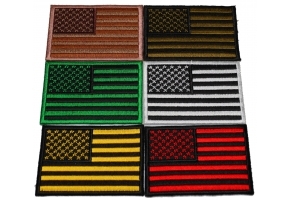 It's slightly different from the standard flag patches, mainly because it's not square. It looks like it's blowing in the wind. In fact, it actually looks like it's moving from far away. The flag features very bright red, white, and blue colors, and it really stands out on a dark background. Did you know there are strict rules regarding displaying the US flag? Flag etiquette is actually very specific and extensive. Most people know that the flag isn't supposed to touch the ground, but did you know if you fly it at night, it is supposed to be lit up in some fashion? Flags are also supposed to be destroyed in a 'dignified manner', which usually means by burning. While this is usually observed, there are some rules regarding the US flag that are almost always ignored. The flag isn't supposed to be used for advertising purposes or printed on anything disposable, such as napkins or boxes. When worn, or displayed on a vehicle, the stars should be to the front. This makes it looks like the flag is streaming out as you move forward. 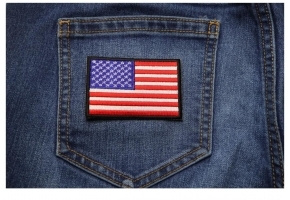 If you follow that tradition, the waving US flag patch should be worn on your left shoulder, not the right. 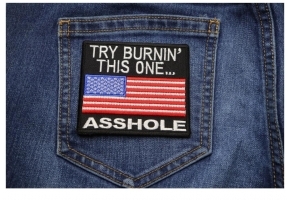 Again, though, this isn't an enforced rule, and you can wear this patch however you like. 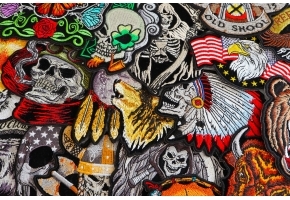 The patch measures three inches wide by two and a half inches tall. The black border makes it easy to sew it on to your clothing, plus the iron-on adhesive on the back works for any material except leather.